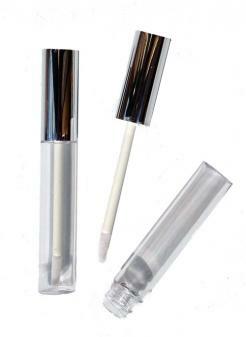 10ml PET clear cosmetic lip gloss wand tube. Complete with internal wiper housing and silver cap lid. Perfect for packaging your own lip gloss, lava lamp lip gloss, cuticle treatments, eye serums, concealers and we have had success using these for mineral eyeshadow too for those of you who make your own makeup and cosmetics.